New research by multiple separate research groups shows that extreme heat events are increasing and can be clearly attributable to global warming. The research draws upon modelling and Fractional Attribution of Risk (FAR) of extreme weather events including from Australian scientists who have shown that extreme heatwaves and hot spells are caused by the increase in greenhouse gases in the atmosphere. It confirms earlier published research by Karoly and Lewis that the Record Australian 2013 temperatures caused by climate change. 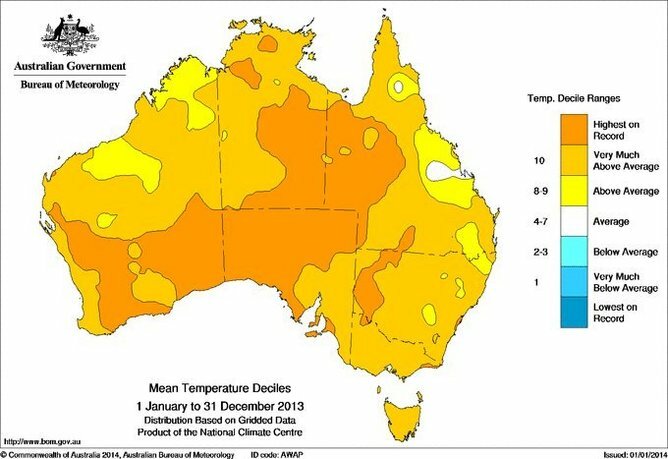 Australia is already feeling the heat of global warming and Spending wisely now will make heatwaves less costly later. Our cities in particular are becoming hothouses in summer as global warming amplifies the urban heat island effect which along with increasing urbanisation like in Sydney, provides major climate impacts. There are already major challenges for adaptation for cities like Melbourne with Municipal Councils often on the front line. 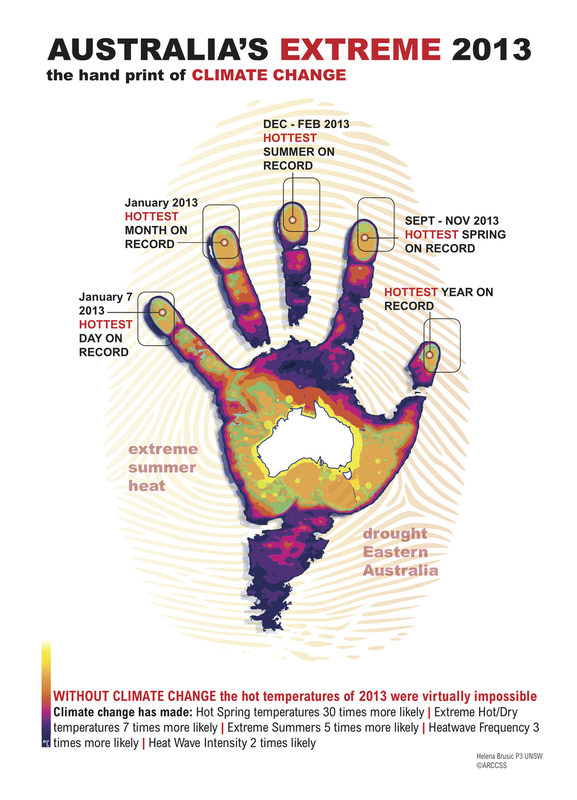 A significant human fingerprint in the warm surface conditions was clear - anthropogenic climate change also played an important role in the record Australian temperatures in September 2013. Very few parts of Australia escaped above average temperatures in 2013. Together, these papers provide a comprehensive answer to the question of what caused these records. They there are multiple lines of evidence that climate change is already having a significant impact on Australia.